Let’s suppose that you have a friend. Your friend is average looking, average height, let’s say that you probably wouldn’t notice him in a crowd he are so average, but this friend always does and says the right thing and you are in awe of his ability to draw people to him, including you. He is a good friend to you and you have unwavering trust in him. Your friends name is Love. Imagine what it would be like to be Love, to walk a mile in his shoes. What personality traits would you exhibit? How does your friend Love react to different circumstances? 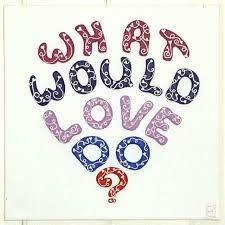 In any given situation, what would Love do? By asking this simple question, what would Love do, when you are in a situation that you are not sure how to act, you can dramatically change the outcome. It is said that all emotions stem from just two; Love and Fear. When we live with uncertainty and fear it is human nature to shut down and use negative emotions. Our genetic make-up for survival is fight or flight so when in unfamiliar emotional territory, put a wall up or run like hell. If you do stand and fight, then make sure you hurl the worse emotional weapons you’ve got and take your adversary down! Is that the best as modern, evolving human being that we can do? This kind of response only acts to escalate. Isn’t that how grudges, feuds, even wars start? What if instead you took on the characteristics of your friend Love. The very first thing Love would do is to seek to understand. That doesn’t mean that he would agree with the other person or with the situation but Love understands that he is not a solitary person living on earth. He knows we are all connected and part of the living system, if I hurt you, I hurt myself. By being open and willing to seek a solution, Love is choosing to respect his adversaries right to have a different point of view. That is a much more powerful position to come from for both parties. When you come from a ego centered perspective, only thinking about yourself, a what’s in it for me mentality, you lose out on the opportunity to really connect with others. You are effectively blocking Love. How will you be able to find the love of your life or the best friend you may ever have or even build a strong family bond if you are not open to the flow of love? 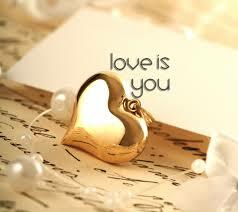 Love is the essence of who we all are. It is the most authentic state we can exist in. The next time you are in a situation where you can influence the outcome by the action you take, think about your old friend Love. What would he do? If you have some extra coins in your pocket and the beggar on the street has none, how could showing compassion towards another human being instead of ignoring his plight and passing judgement on him as lazy change both of your days? If you take an extra minute for patience before you blast your teenager for being late, how might the daily argument be averted and the bond of trust be strengthened? If you are willing to be humble and except that you are human and made a mistake, how is your love for yourself going to grow? What would Love do? He would always be open, accepting and caring and even if he made a poor choice he would still love himself as the divine being that he is. 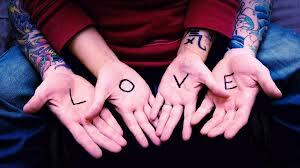 We all have a friend named Love, when was the last time you hung out with him? A wonderful piece that we could all do with following. Have sent it to my tweet and Facebook.